Don't let a pegged MAF stop you from making big horsepower. 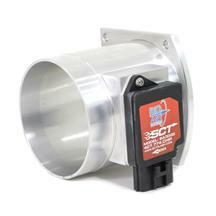 These 90mm SCT Ford Lightning mass air meters are the perfect upgrade for high horsepower motors. Choose from options that support 700hp or 825hp to suit your 03-04 SVT Lightning needs. Looking for a factory style replacement on your 01-04 Lightning? 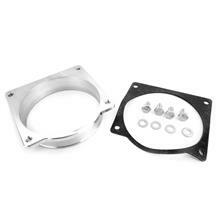 We have you covered with a Ford Racing 90mm MAF that is a direct replacement. Fitment: 1999, 2000, 2001, 2002, 2003, 2004 Lightnings. Wanting to make HUGE power in your 03-04 SVT Ford Lightning? 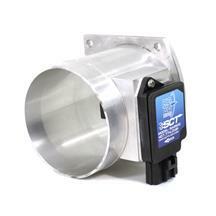 These 90mm Big Air mass air meters from SCT get the job done. 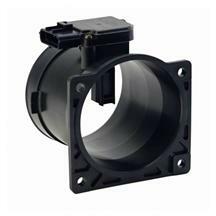 Supporting up to 825hp, our mass air meters are the perfect solution to a pegged MAF. 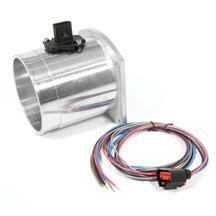 If power isn't everything, we have a Ford Racing 90mm to get your 01-04 Lightning back on the road.